in front of me almost the whole day. 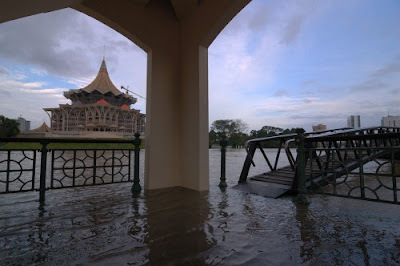 I still can spot the jetty far away across the Sarawak River. By the noon, weather forecasted it will lasted until the week ends. Got email from the management to everyone in the office. season king tide and rising of flood water level today. will have to be extra careful & alert. Worry at the same time. 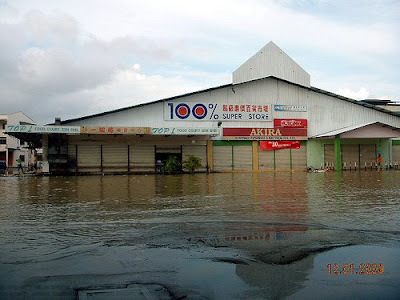 On my way back, no "big" sign of rising water level at my areas. Only at Foochow Road bridge. If only no rain tonight, it will be alright. If it does rain, then we'll see what tomorrow have for us. 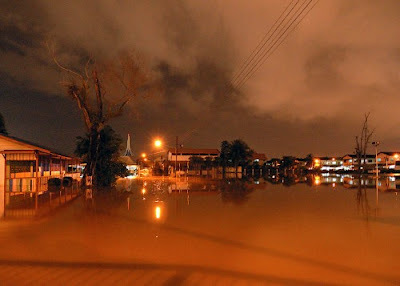 Flash flood hit Kuching last Saturday because of continuous raining. 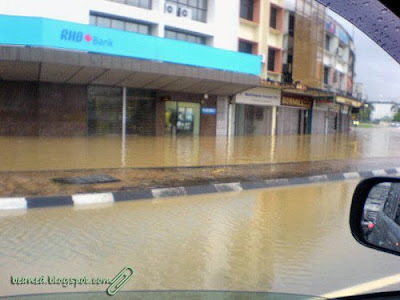 with "teh-c-peng" water from the drain. Everyone had to turn back and use other roads! Non-stop heavy downpoured for at least 48 hours. 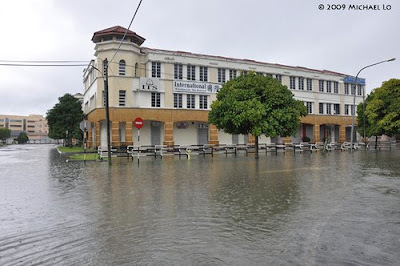 as their housing area were badly flooded! 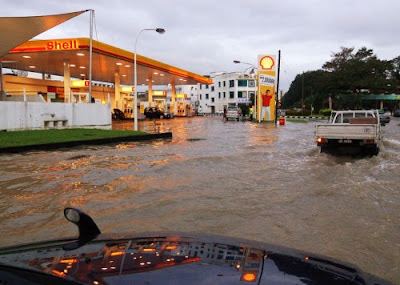 other areas in Sarawak also experienced it too. I pray & hope it ends tonight. Or it spoilt everyone's Chinese New Year mood.